Christmas party season is once again upon us – bringing with it the annual round of drinking, dancing and generally making merry! Make sure you’re not the one on this year’s naughty list by following our top 10 dos and don’ts for the work’s Christmas do. Do attend the office party, even if just for an hour or two. It shows you’re part of the team and not attending may hurt your reputation. Don’t dress like you’re off to the nightclub. The party is still a business function, so check out the dress code and dress appropriately. Do pace yourself. Don’t drink too much and try to drink a glass of water between each alcoholic drink. Don’t party on an empty stomach. Alcohol will affect you even more if you haven’t eaten and you’ll also want to pig out on the buffet. Do conduct yourself professionally. Remember not to gossip or spread rumours, dance on tables or snog a colleague under the mistletoe. Don’t sit next to the boss. Especially if you’ll be tempted to tell some ‘home truths’ that may damage your career prospects. Do keep your conversations positive and don’t spend the evening complaining about work. Don’t forget to thank the person who co-ordinated the party. Do pre-book your taxi or arrange your lift home, have a curfew and stick to it. Don’t call in sick the next day. If you follow our dos and don’ts you shouldn’t have the need to! If you need help on dealing with fallout from the Christmas party, or any other HR issue, contact us to discuss your needs. 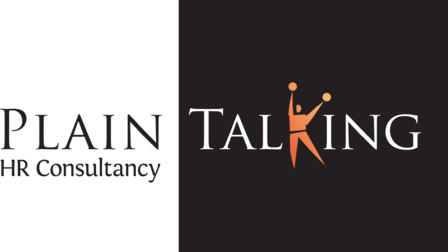 For all your HR advice whether in Luton or anywhere in the UK, look no further than Plain Talking HR.